With oven - heating, cooking, roasting in the smallest space! 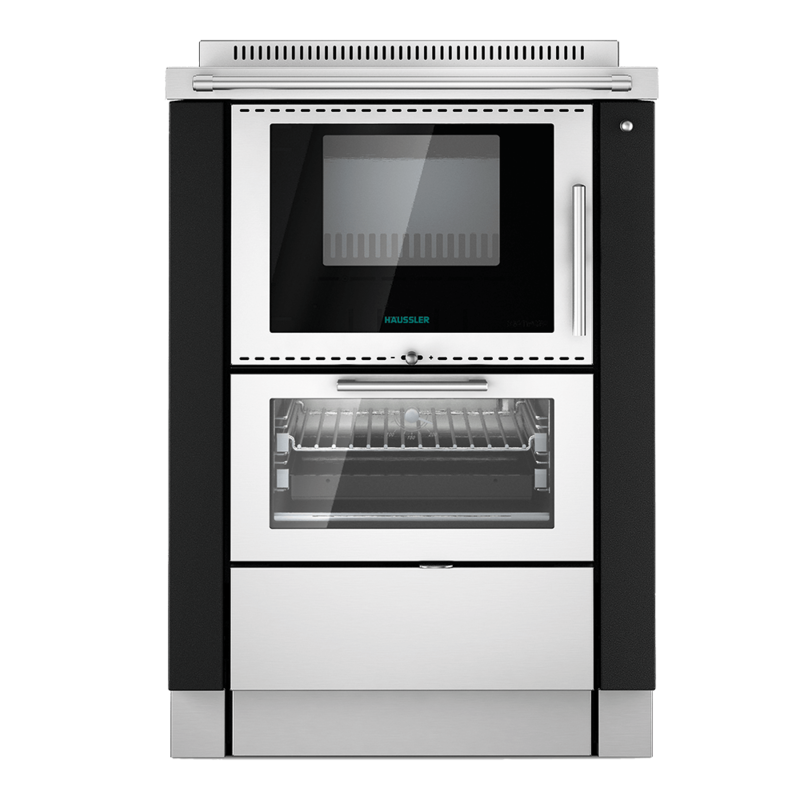 The bio-firebox is the heart of the cooking in this model as well. On request, with cooktop made of steel or glass ceramic and oven. The oven lighting is standard and requires a 230 V connection. You also get the telescoping rail in the oven as standard equipment. With it the baking sheet can be pulled out and is fully visible. Side walls are available as an option.